Photo by Brittany C. Horne Photography! About 95% of my time at Megacon this weekend was spent from behind the table of my band's merch booth but I still feel like I have quite a lot to share. 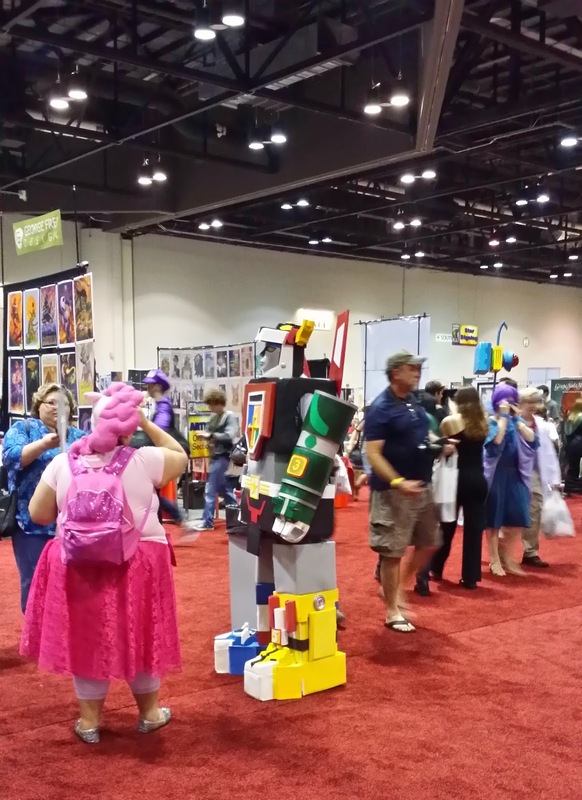 Let's start with some stats: This year Megacon grew exponentially from a normal, state-sized convention to a nationally epic 85,000 person super-convention! 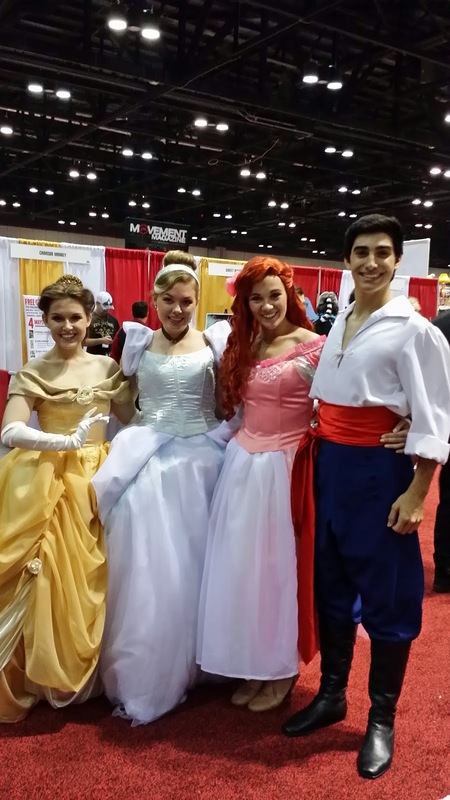 There were countless guest artists, special guests (including Stan Lee), and vendors which occupied the Orange County Convention Center's South Concourse (a move from the smaller West Concourse). 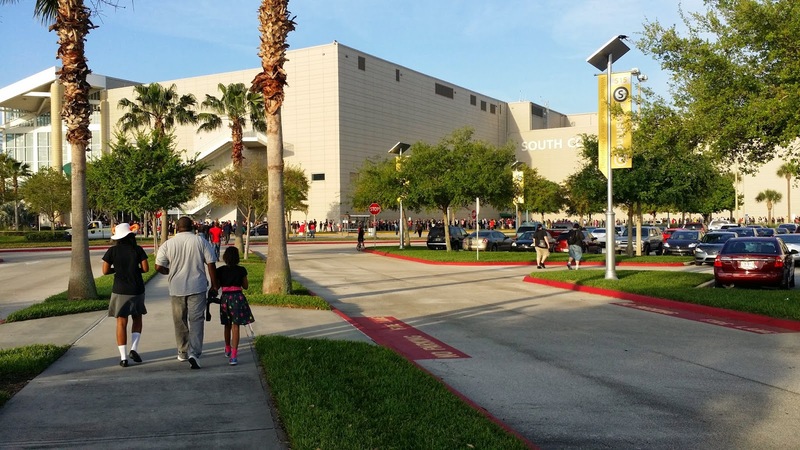 To clarify: the line to get in on Saturday was so incredibly large that people literally wrapped around the convention center (exceeding a half mile of total line, but more likely a literal full mile of line i'm told! ), cell phone reception in areas of otherwise good reception slowed and ceased altogether due to the extra 85,000+ people, and the halls were literally packed so tightly that it was neigh impossible to walk through without constantly touching or bumping into someone. 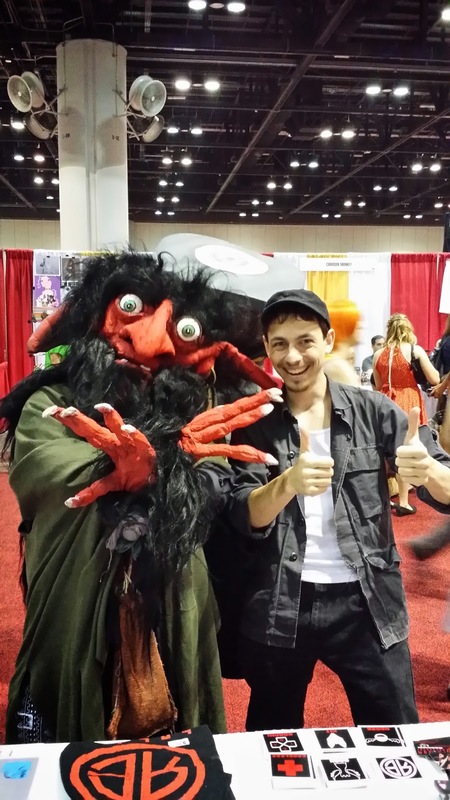 The costumes were amazing, the people were friendly, there were cool things in sight every step of the way, and Megacon was better than ever this year! My story begins on the Friday morning of the convention at about midnight, packing my car full of my band's merchandise. With the assistance from my good friend Peter I was able to pack the car with over 1000 cd's, shirts, hoodies, stickers, posters, and all of the other merchandise that a band would need. This weekend I would be representing my band, Random Encounter. I slept for about 4 hours, woke up around 4:40am on Friday, and drove to meet with our guitarist Konami to pick up a few hundred copies of an album he forgot to bring to the last band practice (or just didn't have room for). We met at a shady gas station at around 5:20am, exchanged packages, drove our separate ways, and by 7:30am I found myself at the Orange County Convention Center loading docks. Moose (our drummer) arrived at around 8:15, about the time the doors opened and exactly the same time I got my exhibitor badges from the loading gate. We loaded in, set up the booth, he headed out, and I took a few minutes to look around the convention center. The amount of traditional vendor booths this year felt about the same as last year, with some natural growth of course. This year saw the return of the giant collection of robots (Literally. R2-D2 style robots, Daleks, etc), a series of star wars set replicas including a Rancor, a giant Lego area, a significantly larger artist alley consisting of up-and-coming artists, a larger guest signing area, and wider alleys for people to walk through. In the final minutes of my only real free time to walk through the convention center (before I had to go back to the booth to relieve Moose, so he could go home) my eye caught sight of a print that looked remarkably like something Charles Vess would make. Since he more or less stopped making prints YEARS ago I was in disbelief and started talking with the couple that owned the booth/company known as Chimera Publishing. We talked for maybe 10 or 15 minutes about art and artists, having a really great time. I learned that the image I saw was indeed a Vess print, and that they also had another print of his as well. Lacking a last minute birthday gift for my girlfriend (a huge Vess fan) I got both and victoriously returned to my booth, comically enough numbered "666." I'm not superstitious, but the number certainly helped people remember which booth to find us at. It also got me a lot of advice from superstitious individuals. extending well outside the entrance!!! The doors opened and a flood of people came in. Over the course of the morning I gradually positioned my chair precariously atop the band's merch tote box and played songs while people walked by. I talked with a bunch of people, made friends, made fans, and made people smile. I think that's what I enjoy most about conventions, making people smile. I gave out stickers to kids and played music based on what people were wearing (Doctor Who was huge this year). I talked to pretty much everyone who walked by my booth regardless of ethnicity, age, or attire, and I've found over the years that some of the most interesting and friendly people are those you never thought you'd want to talk to: gruff punk rockers, the extremely Satanically inclined, older folks walking by with scowls on their faces. 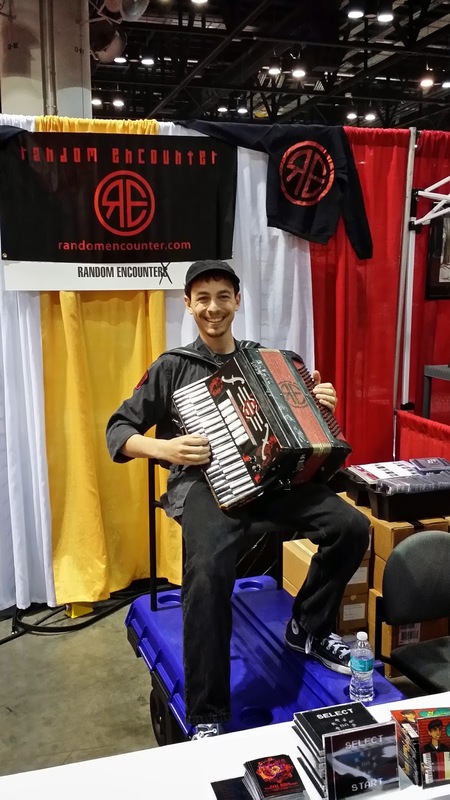 I really like cheering people up, entertaining them, and it was a pleasure to be the first accordionist ever seen by many I talked to. I caught up with old friends, played music, chatted, and gave my sales pitch nonstop until the doors closed. By the end of the day I was completely exhausted and fell asleep in a room (at a friend's house) that I was later informed contained a half dozen decomposing rabbits. Day 2 was similar to day 2. Waking up at 7am to insane traffic; a blur of a day playing music, meeting with people, and selling merch. I forgot the cash box half way through the drive to the convention center and had to go back for it, waking up everyone in the house on accident. At the convention I watched as a "very straight man" hit on a "very cute girl", only to realize when she opened her mouth that she wasn't a girl at all. As Forbes Magazine suggested in their article on Megacon, geeky things are now becoming mainstream and as those people who would not refer to themselves as geeky are gradually introduced into this new world things like this will become more commonplace and "normal" folks will gradually find themselves liking things that were formally thought of as being reserved for the extremely geeky like anime, comic books, and (if I have anything to do with it) video game music. The future looks fun! My chair only slipped once the entire weekend! 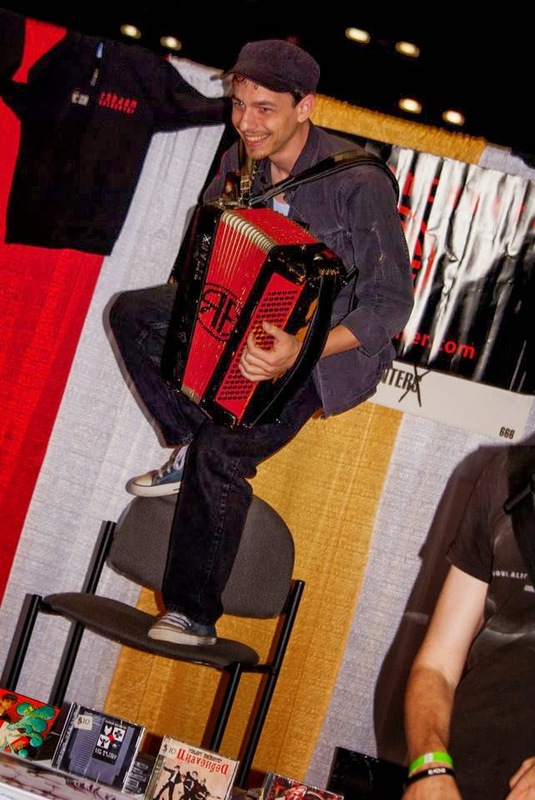 Throughout the day I gradually got higher up on the chair, still recklessly balanced atop the tote, sold stuff with the help from a few friends like Peter Pepper, Kat, and Loki, and saw dozens of friends and fans from cons/shows past. 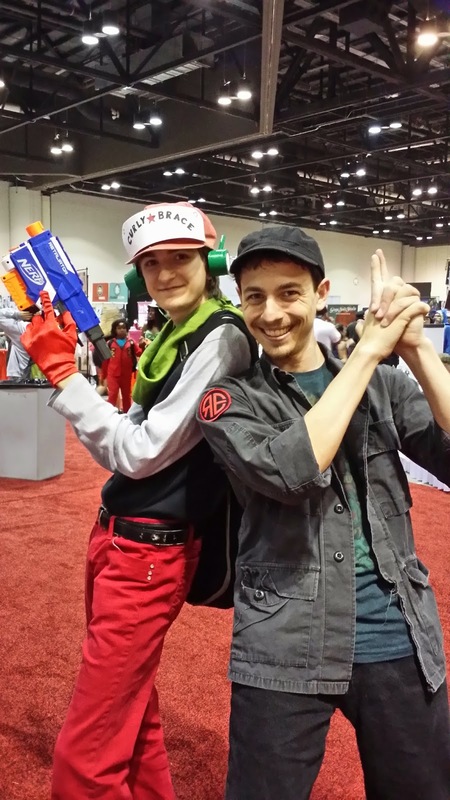 Being my 4th year as a vendor at Megacon I've made quite a few friends and was pretty nostalgic at points through the weekend. There were more insane costumes, new friendly faces, and literally THOUSANDS of people walking by the booth every hour. 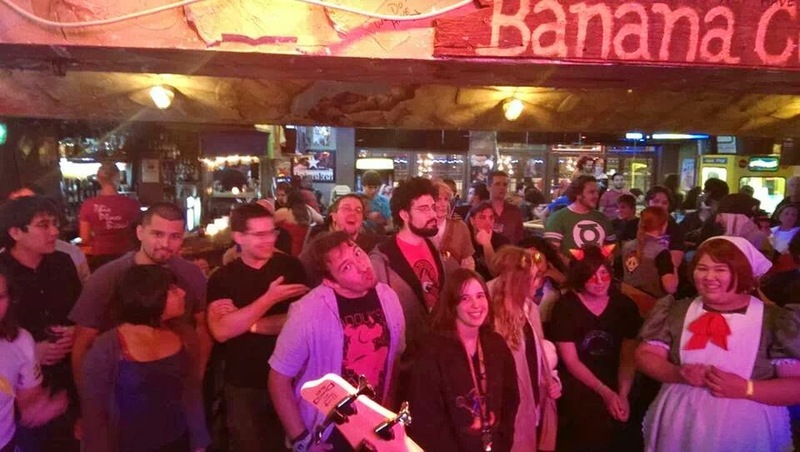 At the end of the day my band played a show (the Ongaku Overdrive Megacon After Party) with Shammers, Sci Fried, and Marc with a C a few blocks away which I felt was a grand success. I slept on the sidewalk before the show started, was utterly exhausted before/after the show, and did my best to give a high energy performance and sing, despite having just played for maybe 8 hours a day for the past two days on no sleep. It was a great night and we didn't get to Moose's place to sleep until 2am, this time in the room NEXT TO the room with the decomposing rabbits. 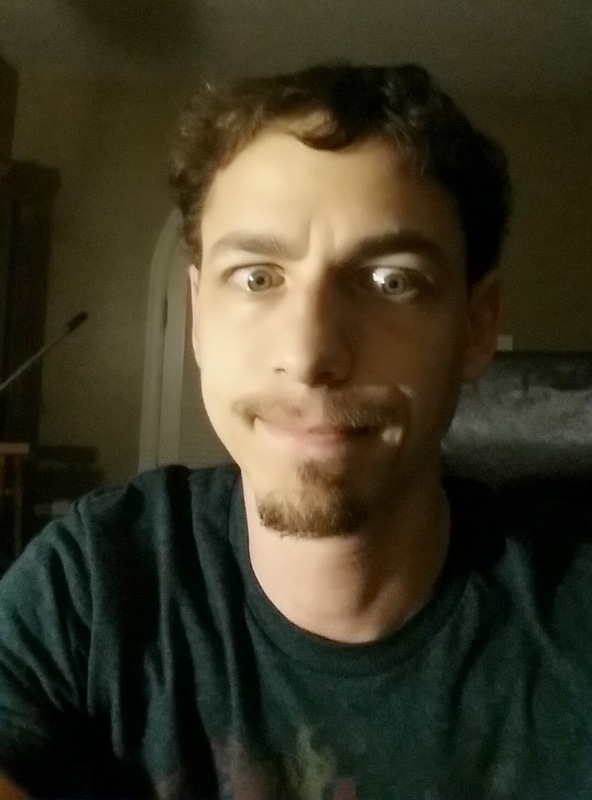 I woke up on the morning of Day 3 feeling off. Undaunted, I got to the convention center by 8am, but I still felt sick, shaky, and tired. By the time the doors opened I phoned for backup and did my best to sell merch with Kat's help until Konami and Rook arrived. I played one final round of Ren and Stimpy's: Happy, Joy with a man dressed like Powdered Toast Man who stopped by the booth and was utterly exhausted. My bandmates took over the booth from there as I packed up and took the long walk back to my car. None of you will believe this, but I was able to spot Waldo again this year. I just wasn't fast enough to snap a good picture before he ran off and blended into the crowd. I was unable to find him again on my way back to the car. Traffic at 1pm was still pretty bad for Orlando traffic but it was nothing compared to the insanity of the Saturday crowd. 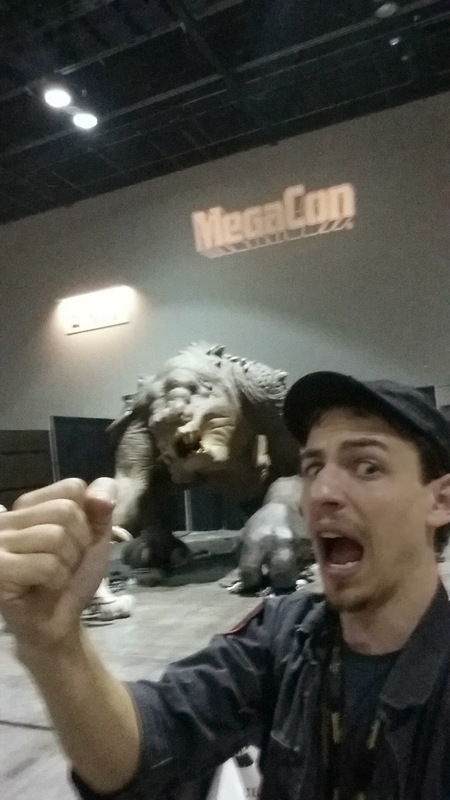 Megacon was an extremely fun time this year. It's grown a lot and and I feel I've personally grown with it. My only big regret this year is that I could not have been there longer but I am extremely grateful for all of the awesome people I was able to meet, and for having the ability to play a show within walking distance of the convention center this year! I'm already signed up for next year and can't wait. Who is awesome? This guy! Feel free to share your stories from this weekend here or post pictures (or links to pictures/videos) in the comments section below! I graciously stepped in on Sunday to fill your accordion void and sell merch. Konami and Rook were very happy to have some musical backup to sell albums.